And I printed off a copy of Hannah Fettig’s Simple Beret and went to work. 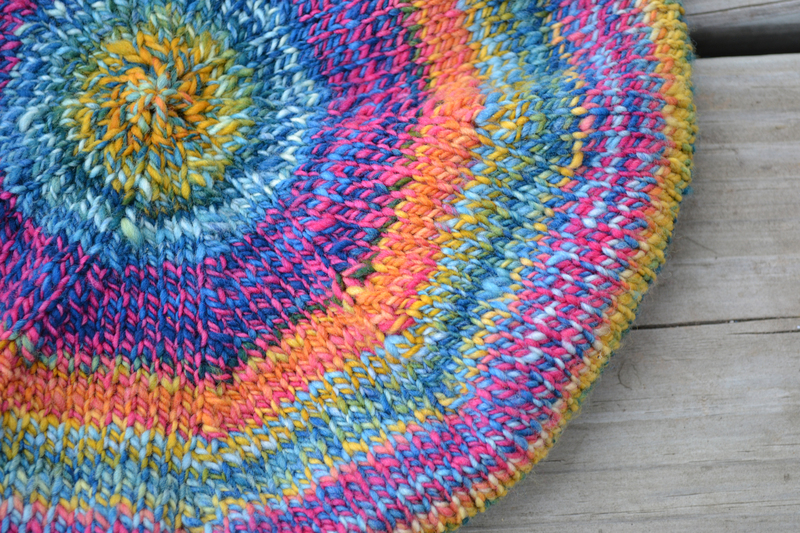 It was really just such a fun knit I couldn’t put it down. And just perfect for my girl. I gave it to her and I swear she didn’t take it off for 2 days. With such a success on my hands and wanting to be fair, I started a project for my son. 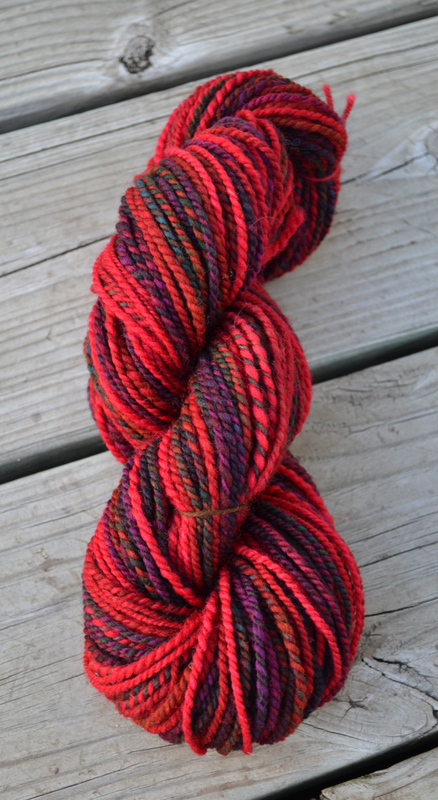 I grabbed this skein from the shelf, Mountain Colors Targhee Top in the Trading Post colorway. 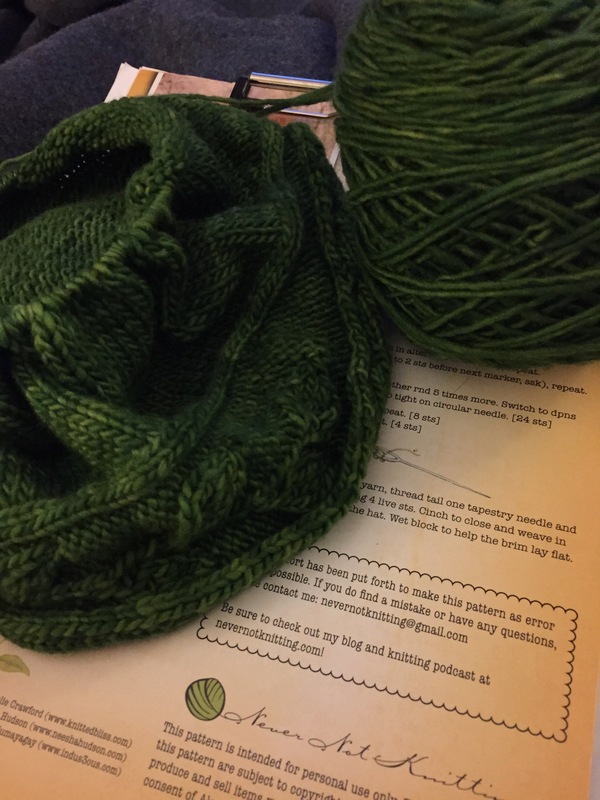 I spun it up a while back and had though I’d knit something for my mom with it, but instead it wound up being destined to become a hat for my boy. It turned out really, really beautiful. 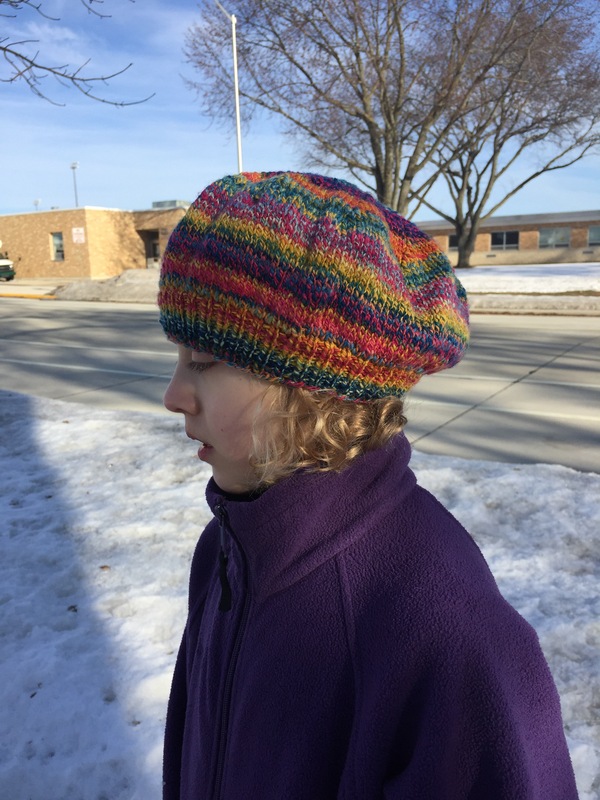 I used another Hannah Fettig pattern, the Simple Hat. And it’s knit at a somewhat tight gauge so it’s super warm. Unfortunately, my boy doesn’t seem to interested in it as he favors his plain black hat that was a freebie with some ice fishing gear we bought. I don’t mind, it’ll just go in the family hats stack for whomever to use when it’s needed. You can never have too many back-up hats in Wisconsin! 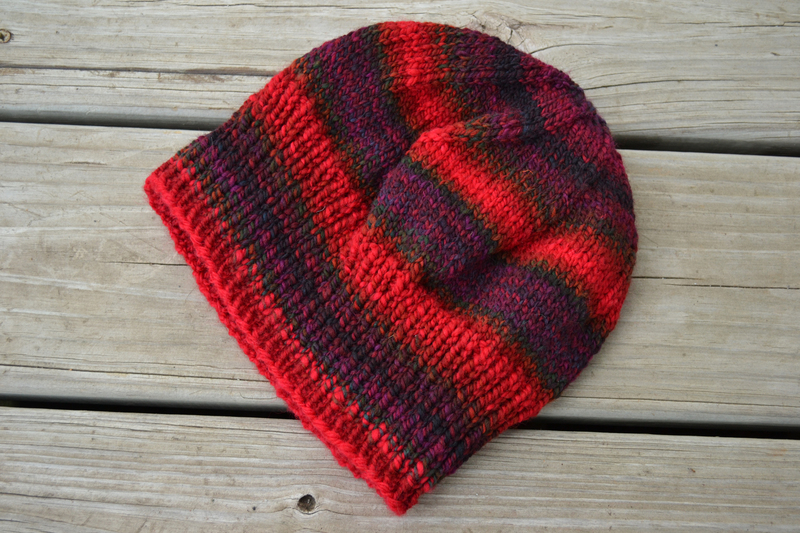 In any case, having finished this one on the 23rd, I was pretty sure I needed to then knit a hat for my hubby, too. 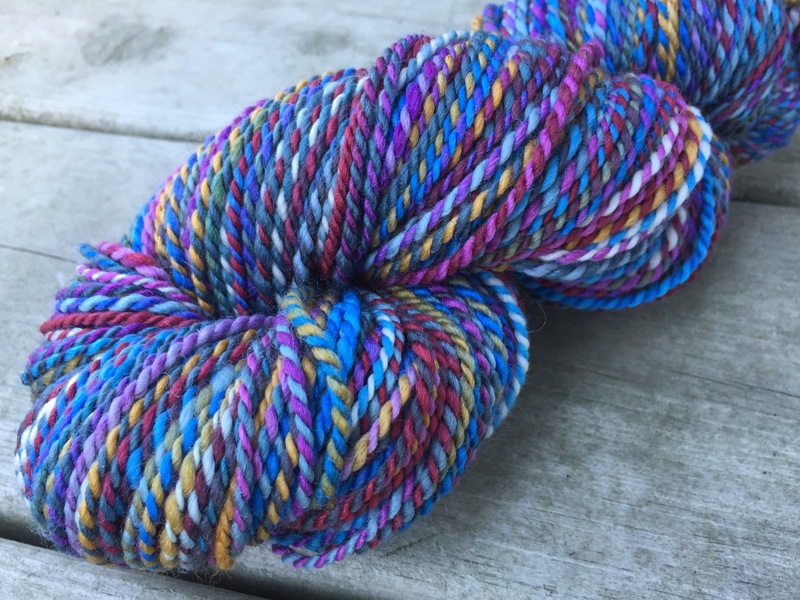 He is by far the fussiest in the family about what colors he’ll wear, so I wound my carefully selected for him skein of “Rattlesnake” from Three Waters Farm. It is a truly beautiful neutral full of the richest browns and slate blue/greys. And finished just in time to leave the cookies out for Santa. I couldn’t get the mister to model, but my girl was willing. 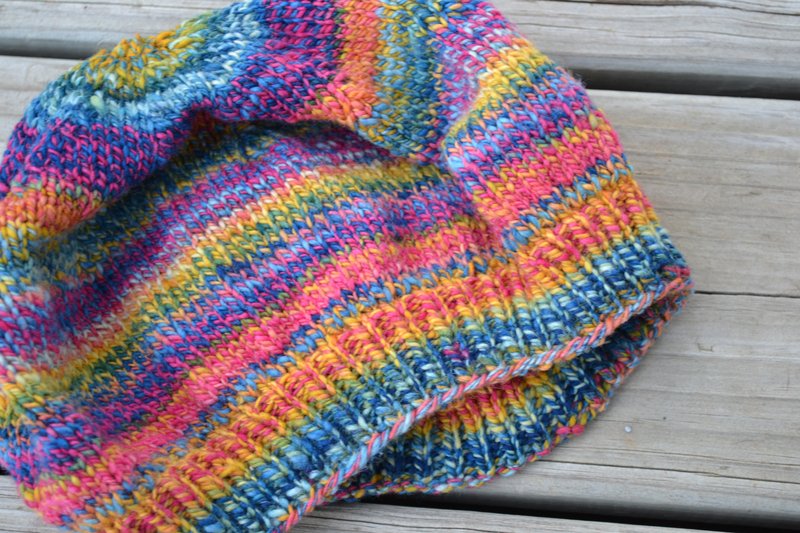 And then it was time to knit a hat for myself. 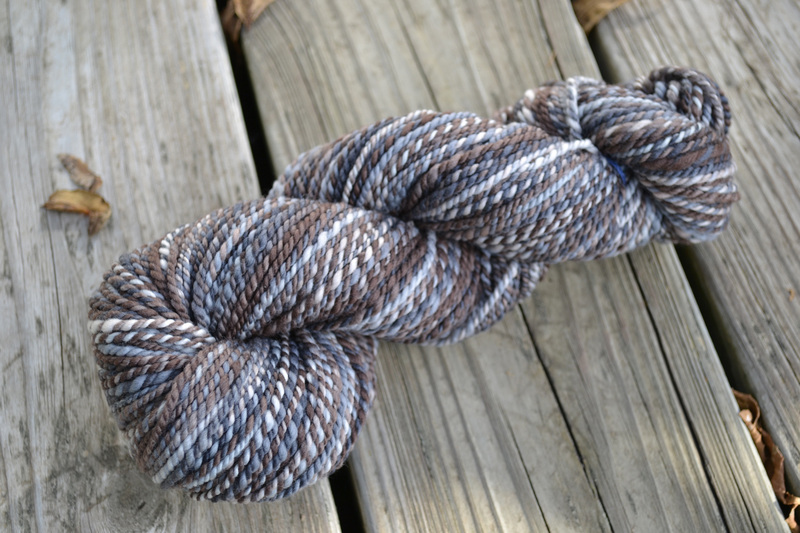 This was my skein of choice, Three Waters Farm‘s Stolen by Bandits colorway in a Polwarth + Silk blend. 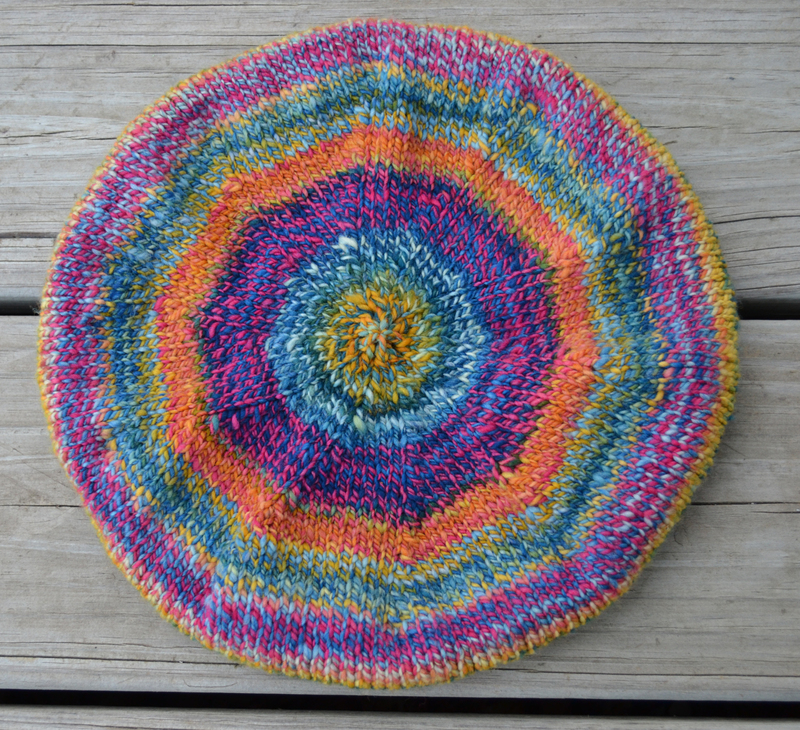 I chose the Simple Beret for my hat, too — what can I say? I love the pattern! 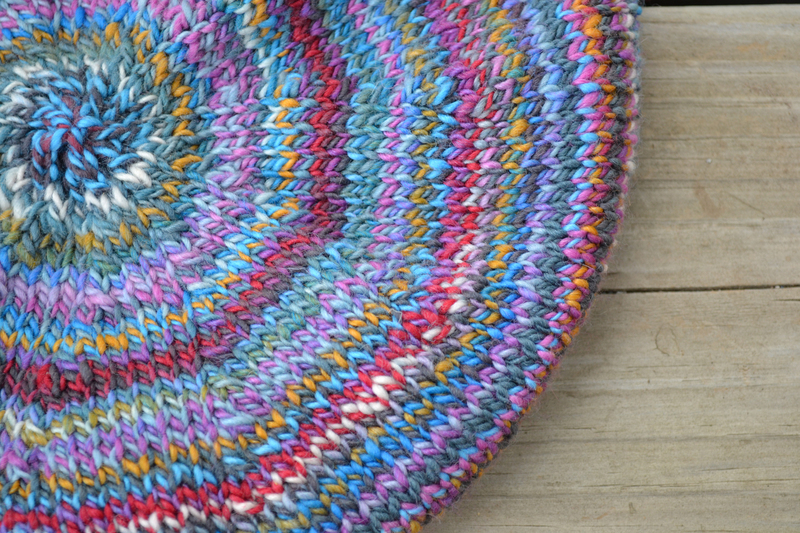 It’s slouchy and soft and cozy and colorful. 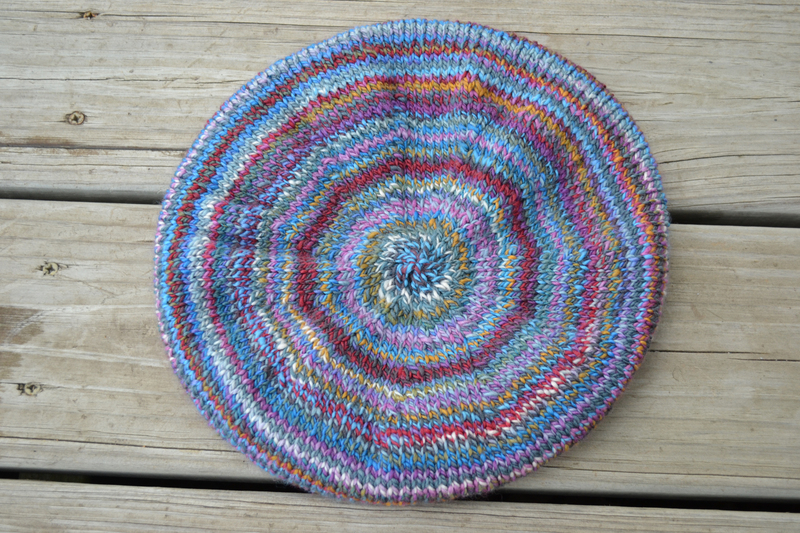 And as soon as I finished this one, I grabbed the skein of Dyeabolical Id Squishy Sport and cast-on one of my all-time favorite hat patterns, Alana Dakos’ Sprig Cloche. These projects were the perfect fit for this busy time of year. Quick and easy and instantly usable. 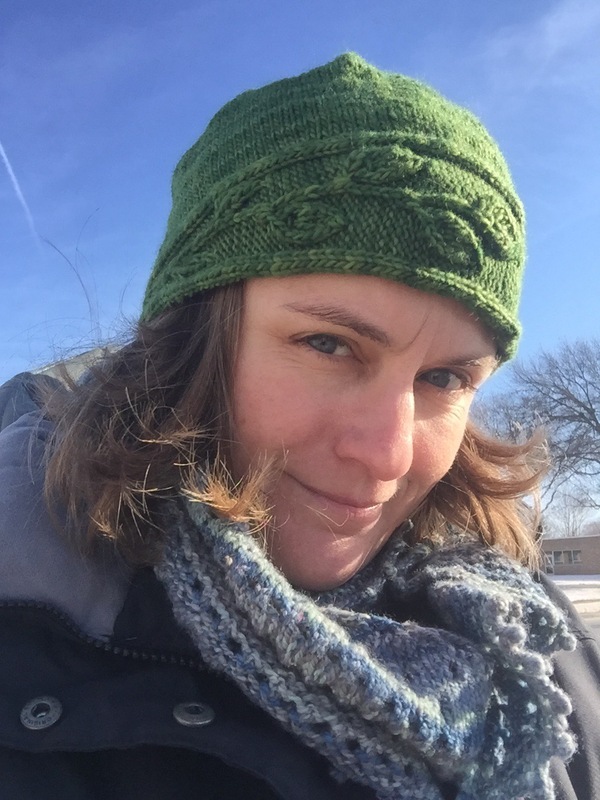 So apparently, the answer to the question, “What should I do with my hands?” around the holidays is simple: Knit hats! My goodness, you were a busy girl! All of the colors are SO yummy. Love that you made a hat for Hubby out of “Rattlesnake”. We all know he’s not a snake! Love the colors all around and the fact that you hand spin them continues to amaze. You Rock! 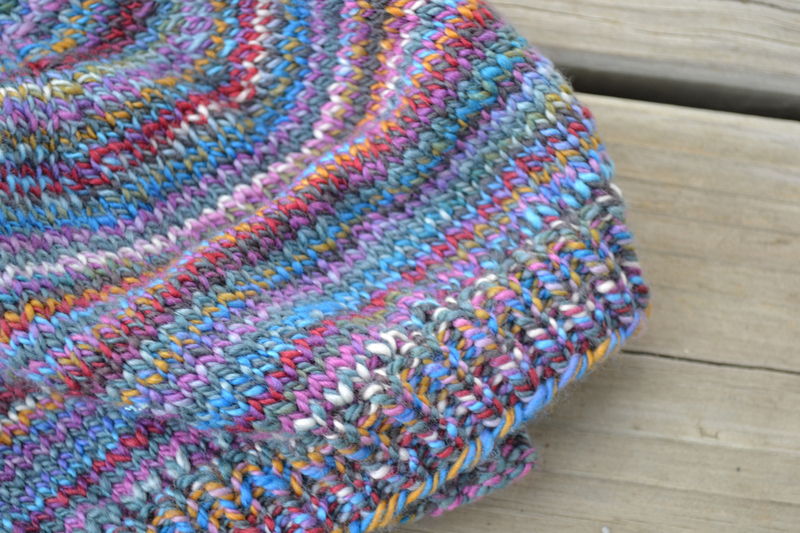 I won’t lie, it was a pretty big treat for me to knit with my handspun. I plan to do a lot more of that this year! Love your newest hats. 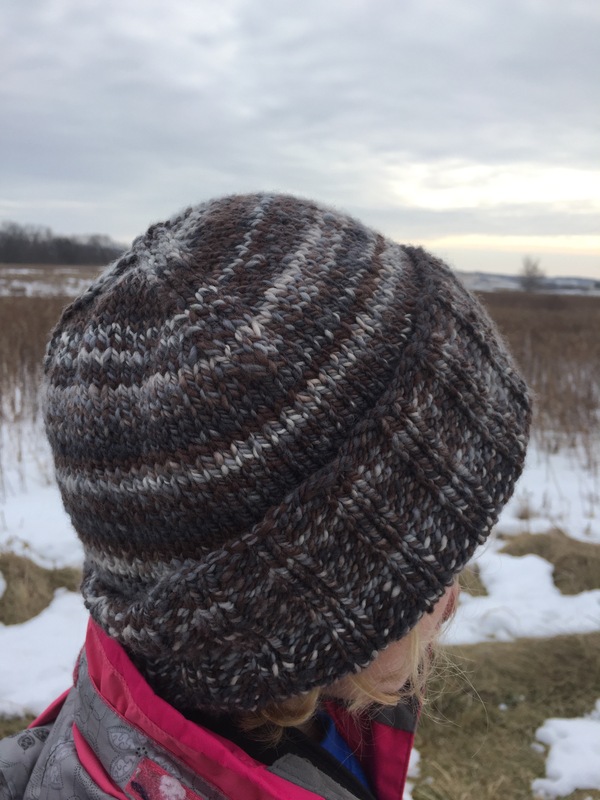 They are always such a fun satisfying knit and a practical gift for those of us who live in the Midwest. 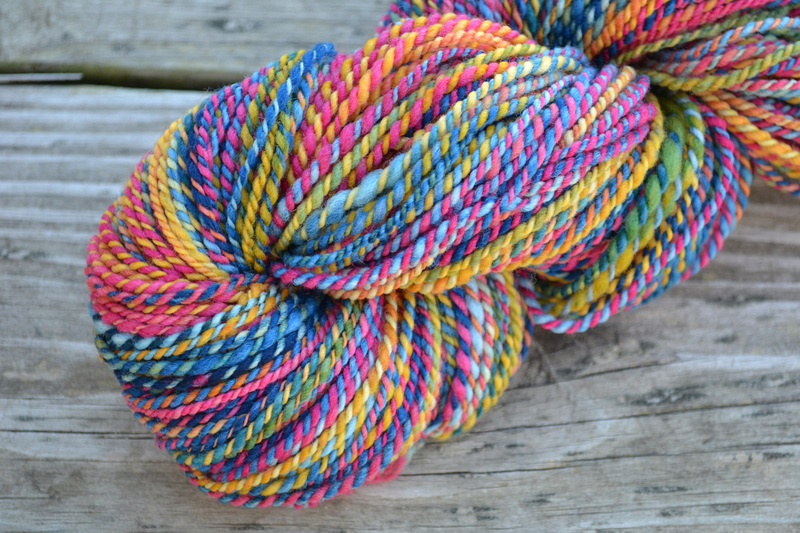 All that handspun yarn is so pretty!! I especially love the ones your made for yourself and your daughter. The colors are just gorgeous. 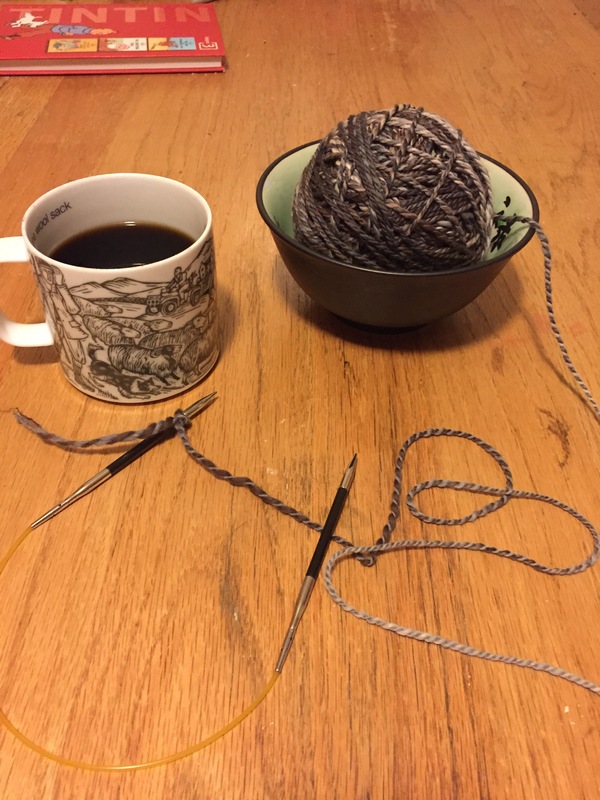 I wear a lot of neutrals — all my ready-to-wear purchased wardrobe is basically navy, black, grey, and white, so I tend to lean toward brighter colors for my handknits and handsewn clothes. I have to say, I like it that way! 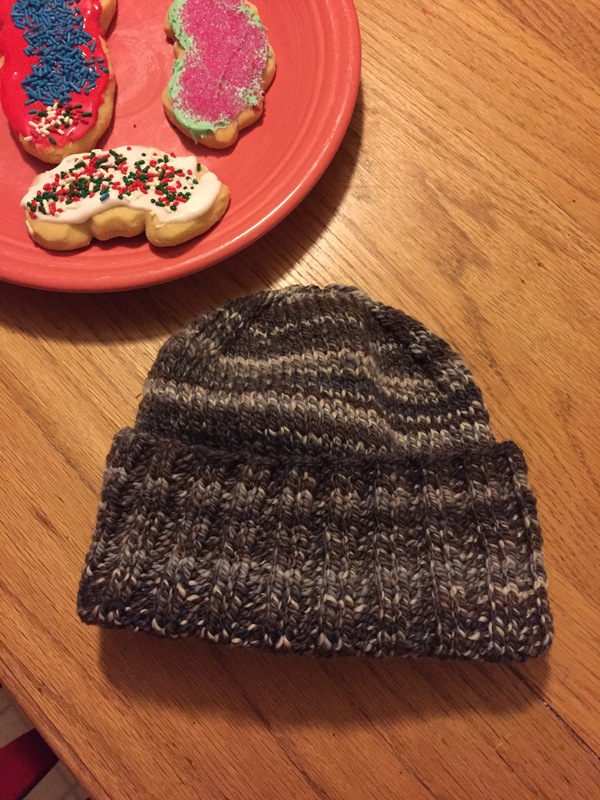 All are awesome but no photo of your husband’s finished hat? He doesn’t need to model it…. It’s really a beautiful neutral, you are right. If I see the colorway again, I’ll most likely try to grab more! Thankfully though it’s a colorway my hubby will wear! I love the plying process and always take more time than you’d think with it. Handspun projects are the best! Wow! They all turned out beautiful. When it comes to kids, go figure. My granddaughter refused to wear most of my knits when she was younger. 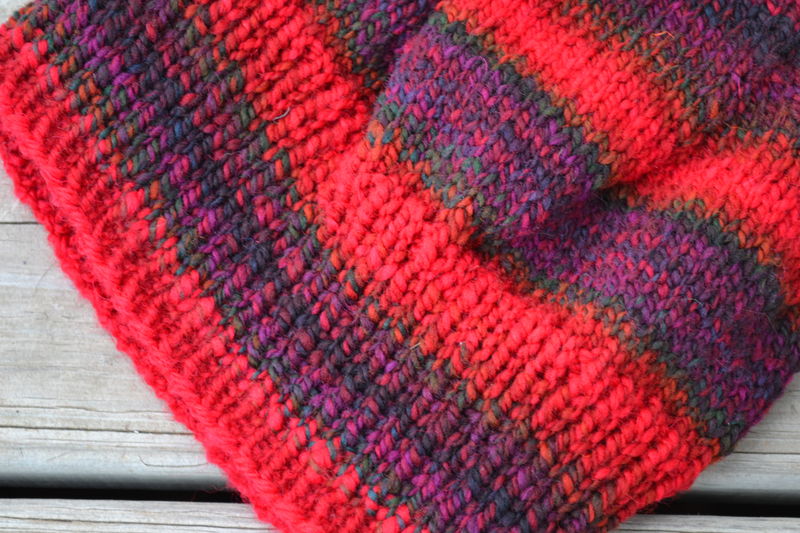 It’s those chunky worsted & DK 2-plies. I love them!